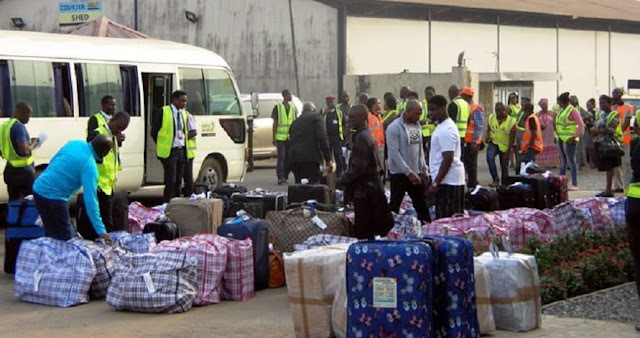 The News Agency of Nigeria (NAN) reports that the deportees arrived at the Murtala Muhammed International Airport (MMlA) Lagos at about 5.50 a.m. The spokesman of the Lagos Airport Police Command, DSP Joseph Alabi, confirmed the development to NAN. NAN gathered that the deportees were profiled by the immigration authorities and were each given a stipend to facilitate their transportation to their respective states.